The Japanese Art is the finest in the world and so is the service, including luggage handling by the airport limousine. 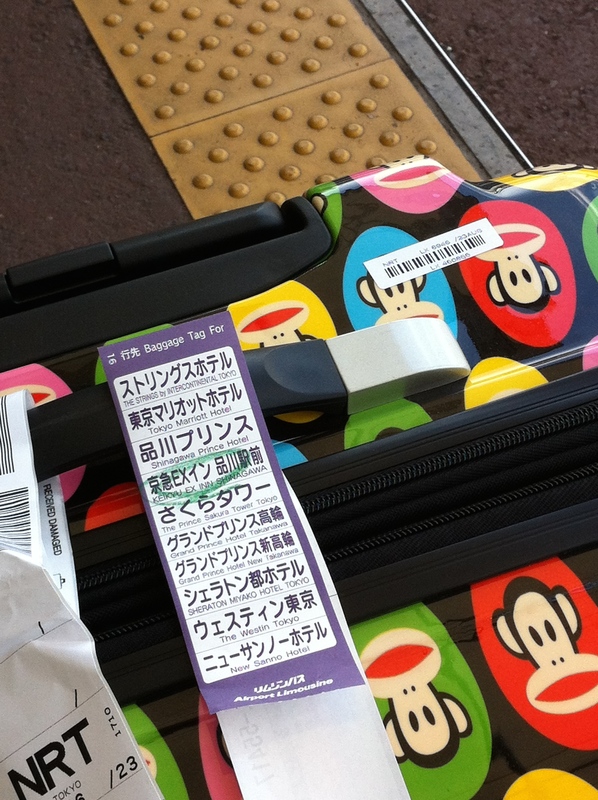 Arriving from Europe at Narita International Airport, Susan was surprised at the tag attached to her luggage at the bus stop of the airport limousine. It was her first business travel to Japan. (The luggage may look funny but it’s for her business travel.) A man at the stop asked her hotel, and marked a green circle on the name printed to the tag. On the tag, the names of the ten hotels are neatly listed and printed (see photo). These are the hotels at which the bus will stop by along the way in downtown Tokyo. When the bus arrived at the hotel, Susan’s luggage was taken out without mistake. If it were some other countries, which may include some in Europe, Susan would have had to keep her eyes on her luggage to make sure that it would be taken off at the right hotel. In Japan, Susan had nothing to worry about. It may be a small experience but gave a strong impression to Susan to understand how much attention is paid to the detail and the Japanese standard of the perfect service.